Heart disease is considered to be the number one cause of death throughout the world. Those who are facing lifestyle diseases such as heart problems are more prone to hypertension. Hence there is a global need for blood pressure monitors especially among the elderly. In order to keep track of their health condition, many new blood pressure monitors are connected to smartphones and computers via Bluetooth in order to self-monitor their pressure level easily. 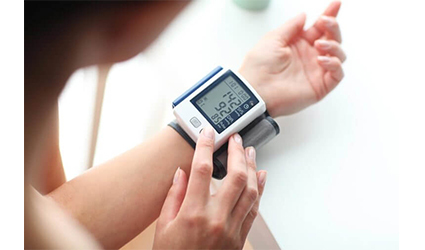 According to the latest report by Allied Market Research, it is predicted that the global blood pressure monitor device market will reach $2,926 million by 2022, with an annual growth rate of 5.7% from 2016 to 2022. The Asia-Pacific region is expected to have the highest number of blood pressure monitor suppliers with an increased market rate of 7.1% from 2014 to 2022. A blood pressure monitor that measures BP on the upper arm, should have an arm cuff that is properly sized for an accurate reading. For a properly sized cuff attached to a blood pressure monitor, the arm around the bicep area should be measured. As per the given below range, the right sized cuff should be selected. Are you looking for a trustworthy manufacturer? Our drugdu.com team has compiled a list of reputable blood pressure monitor wholesalers to help you choose the right one! Click here to see more.